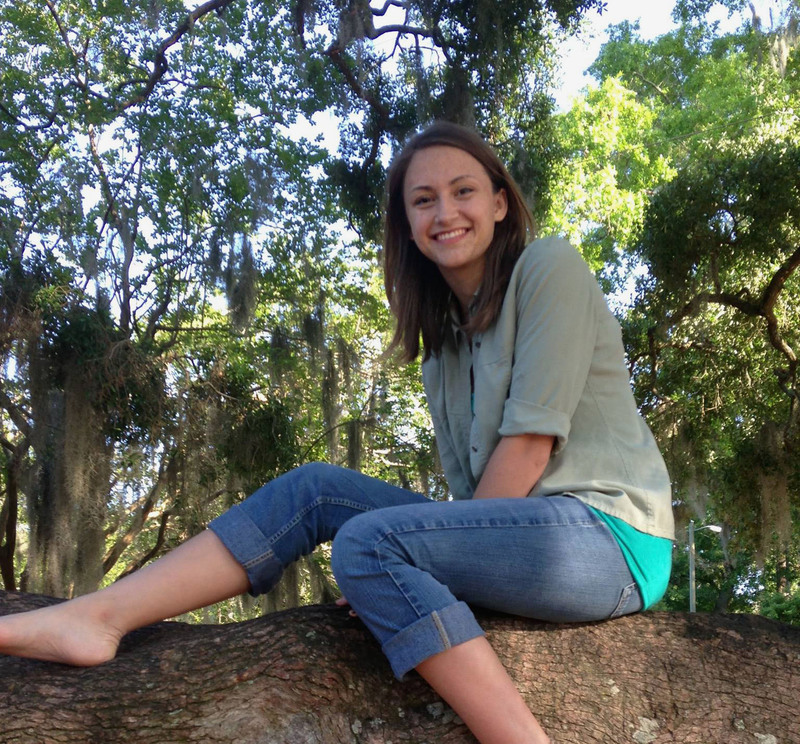 Emily McCullers Kelly has been selected as a reward recipient for The 2015 Scott and Ina McNichols Undergraduate Research Award. Emily McCullers Kelly will be presenting her sculptural research project by poster presentation at the President’s Showcase of Undergraduate Research Excellence. This showcase is sponsored by the Center for Undergraduate Research and Academic Engagement (CRE), FSU’s Office of the President, and the Student Government Association. The 2015 Showcase will be held Monday, September 28th from 5:30pm-8pm in FSU’s Turnbull Conference Center. It is highly encouraged for students to attend this showcase, for it is a wonderful way for students to see the research happening across campus by fellow students. 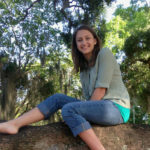 Emily McCullers Kelly is in her senior year pursuing a degree in Studio Art and a Master’s Degree in Art Education, with a minor in Child Development, Education, and possibly the Public Art Certificate. 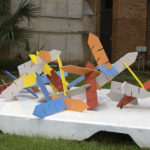 Under the guidance of her Supervising Professor Anne Stagg, Emily completed a series of three sculptures titled “Out There” located around the Fine Arts Building on campus. 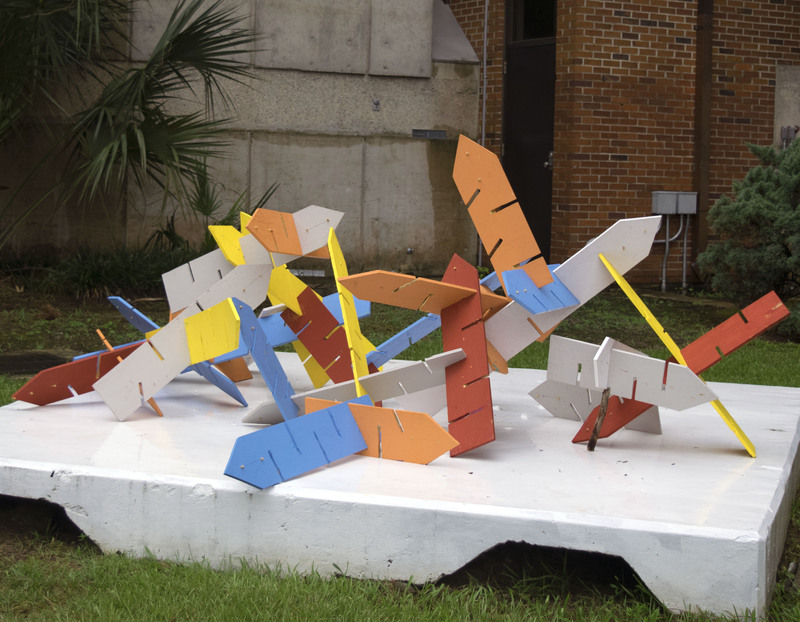 These sculptures represent a 3-Dimensionsal map of Tallahassee, and consist of arrows abstractly pointing to specific locations in the area relating to each sculpture’s general theme: Nature, Community, and History. “In today’s virtually connected world, we are given immediate access to myriads of resources, people, and topics of social controversy. In many ways these online resources and social media platforms are beneficial in creating social awareness about the world around us. As a result, our society is focusing more on building community through social media platforms. Unfortunately, this has its underlying cons. When looking through these online social media platforms, we have a tendency to look at things on a macro level. The world becomes a vast community to explore, and inversely makes our local communities feel relatively small and unimportant. The sense of connectedness to one’s immediate community is lost, resulting in the day-to-day disconnect of our daily routines and interactions.